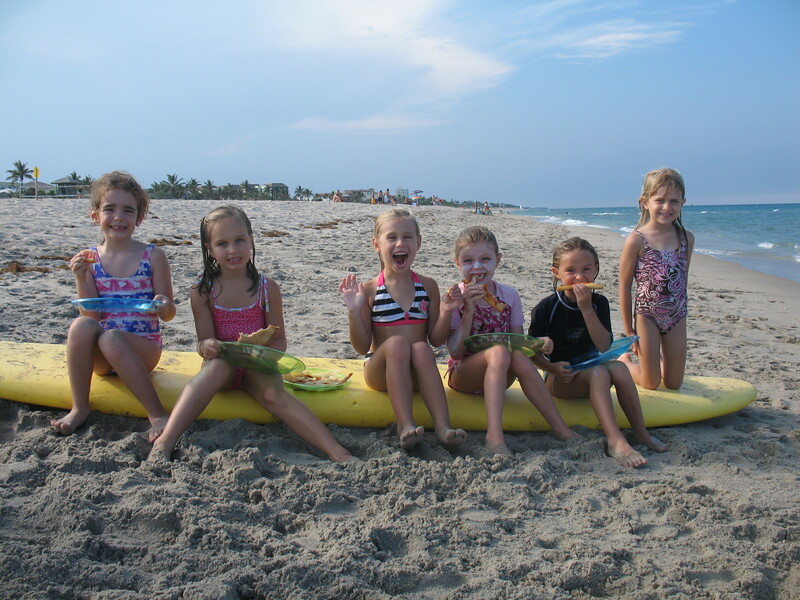 Delray Beach Water Sports offers personal surf lessons and Summer & Holiday surf camps Hosted by Flor n Pat Heaney, a long time local Delray surfing Family . You can reach Pat for appointments at 561-703-7210. Delray Beach Watersports has a great selection of boards ranging from soft boards for beginners to fiberglass short or longboards for more advanced surfers. Beginners to intermediates will be happy to know that our beach has an all-sandy bottom with two sandbars about 50-75 yards offshore that break right adjacent to our rental facility. It doesn’t get more convenient than that! Give our Weather Info Line a call 272-SURF (561-272-7873) to check out the weather and see what the best water sport is for the ocean today ! Parents, come on down and bond with the kids. 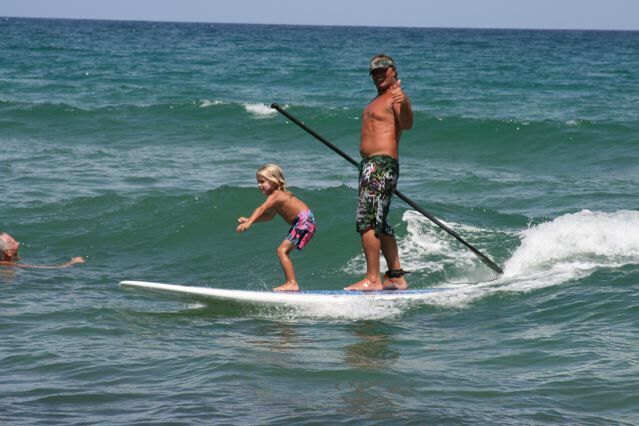 You don’t have to have a lesson, the kids just need a little push on the board for momentum and someone to clap when they ride the little wave to shore.